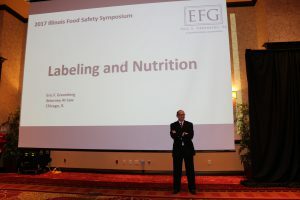 Eric F. Greenberg, a private attorney with a practice concentrated in representing FDA-regulated food companies and others. 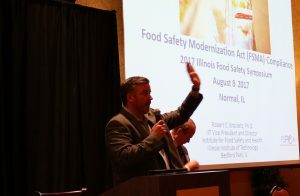 First, companies producing FDA-regulated foods these days are required to make and keep more documentation than ever, mostly due to the Food Safety Modernization Act of 2011. 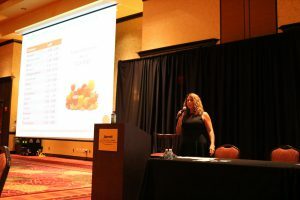 Companies are required to generate, for example, food safety plans with a hazard analysis and preventive controls, a supply chain program and a recall plan. 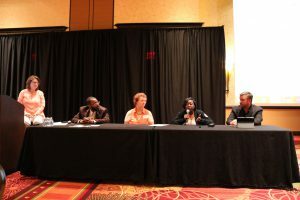 Then, after setting up these systems, companies need to generate and keep documentation proving they are following the programs they established. Also, companies who recall food should remember that they might have reporting obligations, within 24 hours of discovery, about food that might be a danger to health, via the Reportable Food Registry portal. Third, for gosh sakes, be sure to follow your own procedures. It’s the easiest thing in the world for an FDA inspector to cite your company (that is, make an inspectional observation) for your failure to follow your own written procedures. There are a lot of interesting policy debates one could have about the wisdom or necessity of any particular detail of a company’s safety plan or preventive controls, but those debates really don’t matter if you said in your own SOP that you would check the temperature of your cake mix after baking, but didn’t do so. Finally, documentation is relevant to recalls in at least two important senses. One is that the company will have in place the requisite recall plan, having thought through in advance the necessary steps to undertake or consider when problems arise. The value of preparing in advance cannot be underestimated, particularly because circumstances in which safety concerns arise or are suspected can be high-pressure, fluid, and even emotionally charged. Second, of course, documentation of production can help a company identify causes or potential causes and define a limited scope for the affected product, and then identify the consignees who received the product within that scope. Without such documentation, the prospect exists that a company might decide its only reasonable option is to recall everything it’s made that is still out in commerce, which is often a very expensive and burdensome option. Have more questions about documentation or would like to get in touch with the author? Contact ConnectFood. 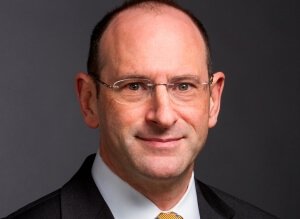 Eric F. Greenberg is Principal Attorney of the law firm Eric F. Greenberg, P.C., with a practice concentrated in food and drug law, packaging law, and commercial litigation. 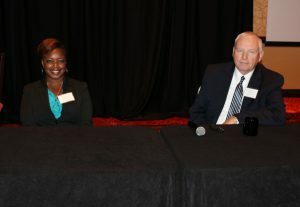 His food and drug work has included regulatory counseling, label and claims review, new product development, GRAS and food contact materials evaluations and clearances, negotiations with the U.S. Food and Drug Administration and state agencies, handling recalls, and defending enforcement actions. In addition to his law practice, Eric is a member of the Adjunct Faculty of the Chicago-Kent College of Law, where he teaches Food and Drug Law and Administrative Law, and graduate and undergraduate Packaging Law and Regulation at California Polytechnic State University (CalPoly). Eric wrote the book, Guide to Packaging Law, the Second Edition of which was published in October 2007. 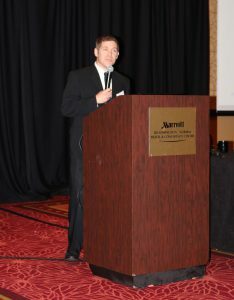 He serves as Legal Editor and monthly legal columnist for Packaging World Magazine. Eric has served as General Counsel of the Contract Packaging Association for over 15 years. His firm is based in Chicago and represents clients based all over the world. 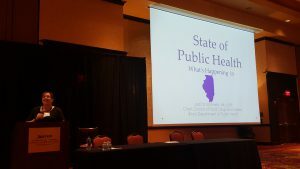 July 18, 2018 /by Kathy Knutson, Ph.D. I subscribe to alerts for Class I recalls from the Food and Drug Administration (FDA). The message goes to my email with a link to the press release. It’s a great automated system, and the number of alerts is small enough to manage daily in email. The FDA recalls more than just food – their recalls include biologics (medical products), animal health products (pet food), medical devices, drugs, cosmetics and tobacco. I didn’t sign up for everything, and the subject of the emails I receive helps me decide which ones I can delete without opening… efficient. Class I recalls are announced when there is a large possibility a consumer will become ill or be injured from a food they have ingested; think of glass shards or pathogens in food. This is where the food industry spends research dollars and companies take measures to prevent biological, chemical, and physical hazards. Class I recalls are the ones we see in social media, which are heavily communicated on the news and posted about on the FDA website. Class I recalls must be entered into the Reportable Food Registry. Do you know what hazard is the number one cause of Class I recalls? The answer is… allergens: a chemical hazard. You cannot put too many resources into allergen management if your product contains an allergen. “Classified” does not mean the recall is top secret! There are three classes; Class I is discussed above as the most serious among the classes. A Class II recall is a situation where the probability of illness or injury is remote. Only the manufacturer can make the call on if the recall will be classified as Class I or II based upon the specifics of what went wrong. The situation has a possibility of illness or injury, but the chances are so small that the conditions for illness or injury are unusual or unlikely. A Class III recall is not likely to cause any illness or injury. Period. It absolutely will not happen. The fourth option in an enforcement report is “pending.” This means the FDA is still considering the class for the recall. You would think this is pretty straight forward, but recalls are one big bell curve. Class I and Class III extremes are easy to get right, but there is a huge bump in the middle for Class II. This leads me to the FDA website. Enforcement reports are posted weekly. When you go to the previous link, click on the week of interest, then sort with the ‘Product Type’ dropdown menu for ‘Food’ or another category. Dietary supplements are posted under ‘Food,’ even though they are not food and are separately regulated. If you really want a scare, choose the category of ‘Drugs’ to see all the problems in that industry, or see pending recalls of drugs. In addition to the Class I recalls, the other classes are of interest as well. We use enforcement reports to keep up with our industry. What problems do others in your commodity experience? When we read the Class II and Class III recalls, we see what problems are occurring in our industry. Are you in dairy, flour, nuts, or produce? Look for companies with similar commodities as both your ingredients and your products. 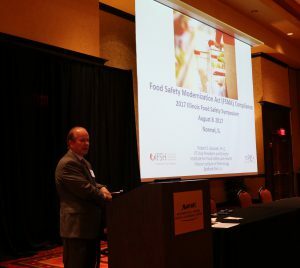 As part of reviewing your written food safety plan, the food safety team is required to keep up with current science and potential hazards. One way to know what is going on in your commodity is to keep up with enforcement reports. Have you heard all the recalls of pet food? These are not coming to my email, so I need to update my alerts. 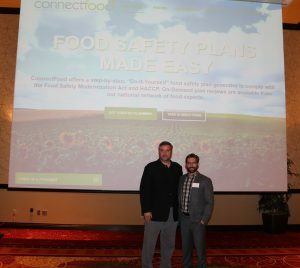 The ConnectFood website has free resources, including the ability to create a recall plan for your facility and products using the online software. The folks at ConnectFood are here to help! Contact us. March 28, 2018 /by Kathy Knutson, Ph.D.
Are you sure you must initiate a recall? Get yourself a good lawyer. There are two important reasons to have a written recall plan. First, the rule requires it, and, second, the written recall plan will get you organized in the case of an actual recall. There is a requirement for a written recall plan in the rule, Current Good Manufacturing Practice, Hazard Analysis, and Risk-based Preventive Controls for Human Food. In Subpart C of the rule, any facility that manufactures, processes, packs, or holds food must complete a written hazard analysis. There are facilities which are exempt from a hazard analysis. Farms are exempt. Facilities earning an average of less than $1,000,000 in revenue are exempt. Food service operations like grocery stores and restaurants are exempt. 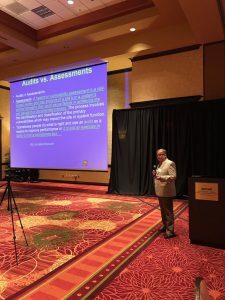 If a food facility does not perform a hazard analysis, the facility must provide evidence of oversight by a non-federal entity, like a state department of agriculture or a local health department. , and (4) The written recall plan as required by § 117.139(a). Turning to 21 CFR 117.139(a), we see Recall plan. Does your product potentially have a hazard? Have you identified a hazard requiring a preventive control in the hazard analysis? If you have a ready-to-eat product, you have a hazard, namely an environmental pathogen. If your product has an allergen, you have a hazard. Does your process have metal-on-metal or other physical hazards? If you have identified a hazard requiring a preventive control in the hazard analysis, you must have a written recall plan as part of your food safety plan. Single person to initiate the recall. Who has the responsibility to pull the trigger on a recall? Internal recall coordinator. This person may not be a Preventive Controls Qualified Individual. Accountant. A recall is going to be costly. Attorney or firm for the recall. Find an attorney who has recall experience. Contact for communication to the public and press. The public must be notified of the hazard. Sales personnel who must notify each customer, communicate if the product is to be returned or disposed, and calculate the daily effectiveness check which accounts for how much product has been recovered. A team of experts must decide the fate of the recalled food. The company will work with the state and/or FDA recall coordinator, attorney, quality assurance personnel, and contract lab. The company may hire a consultant to investigate the cause of the hazard and advise through the recall. 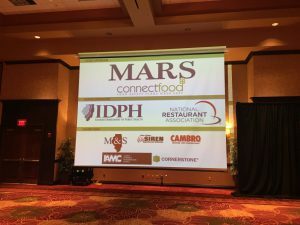 If a plan is developed for the food to be reconditioned, reprocessed including relabeling, reworked, diverted, or destroyed, the company will present the plan to the FDA for acceptance. A mock recall is not required, but highly encouraged. A mock recall is when the recall team tests and updates the information in the written recall plan. I was reviewing a food safety plan with a client, and we came to the recall plan section. The quality manager informed me that she had just emailed with the FDA recall coordinator during the previous week, when I asked about mock recalls and the testing of the plan. The contact information was on the email signature for the FDA recall coordinator. On a whim, I said let’s call the number. The recorded message told us that the person could no longer be reached! Since the mock recall is not required, the company will determine the frequency of the mock recall and if the date is announced or surprise. There are advantages and disadvantages both ways. The important concept in a mock recall is to go one step back to the source of an ingredient and one step forward to your customers. For every mock recall you do, take the practice seriously, and you will learn more about your systems and become more organized in your company. Unfortunately, food recalls are an every-day occurrence in the food industry. Not only is a written plan required by law, but the written recall plan will help your company be organized in the case of an actual recall. The search for forms and checklists can be overwhelming. 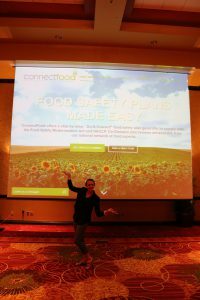 The ConnectFood website has free resources. After you sign in for free, you will have access to forms and checklists. The folks at ConnectFood are here to help! Contact us. July 19, 2017 /0 Comments/by Kathy Knutson, Ph.D. In the last year, I have worked side-by-side with industry folks as they navigate the aftermath of a recall. Every recall is unique and presents its own unique challenges, but here are some lessons I learned and can share with you. That is, most of this experience remains confidential. As a food microbiologist with expertise in lab methods, you need someone on board who understands the testing methods. You can find this expertise with your contract lab or with a consultant, if you don’t have it in-house. If you are initiating a recall due to a pathogen, you need to understand that these tests are comprised of many steps, and therefore days, before a positive pathogen test is confirmed. If that concept is foreign to you, find your person who is going to ask what method was performed and what was the result at every step. Where was the test performed and by whom? Labs make mistakes! Be absolutely certain that the positive pathogen result is true before initiating a recall. I have a story about this that is so bad, I can’t even put it in writing. Warning: be very certain. My cousin Vinny is not qualified to be your recall lawyer. Most companies use an outside lawyer or firm for business dealings on a routine basis. Your company attorney may be a relative or friend. This is not the person to work with you in a recall. The lawyer must have experience communicating with FDA. I have heard stories of lawyers thinking they are going to strong arm the FDA, they tell off the FDA, and the food facility just gets greater scrutiny and ends up doing even more work for the FDA. There are lawyers and firms who specialize entirely in working with the food industry and its government agencies. Hire a great recall lawyer. It is going to cost you a lot of money. Recalls cost a lot of money. If you want to fix the problem and resume operations, hire a great food recall lawyer. After a recall has been initiated with the codes of the recalled product, you probably will have product on site. It will be in the way. You will want to move it out of the way and into long-term storage. Don’t move that product, unless you have written permission from your state or federal recall coordinator. From my experience with product contaminated with a pathogen, that product is now considered hazardous material and must be handled as hazardous material. First, that means you must protect your workers, so that they do not become contaminated. The recall coordinator will want to know how much product was produced, where it went, and how much is under your control on-site or in company-owned warehousing. Once you have that information, you may present a plan for storage and moving the product into storage. To move the product during a recall looks nefarious, and you do not need any extra headaches during the recall. Unfortunately, food recalls are an every-day occurrence and no company is exempt from the possibility. As much as possible, be prepared. If you are in a recall, be smart. I hope you can learn from these lessons. For more about recall plans, read part two of this blog. July 12, 2017 /0 Comments/by Kathy Knutson, Ph.D.